Pectorine, manufactured by Smith & Clarke. 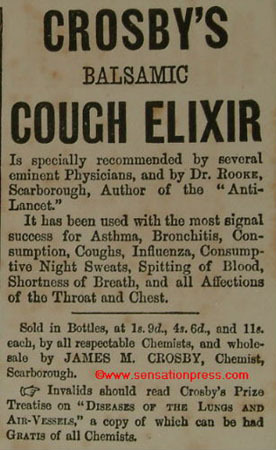 Crosby's Balsamic Cough Elixir, manufactured by James M. Crosby, Chemist. 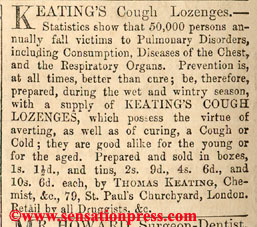 An advert from a yellowback novel published by Routledge, circa 1884. An advert from a yellowback novel, circa 1890. 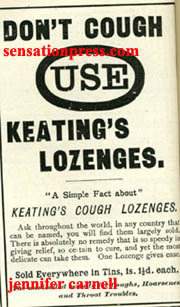 'Don't cough, use Keating's Lozenges'.